The Burgundy Navy Themed design is an elegant and sophisticated choice for any outdoor or indoor wedding. 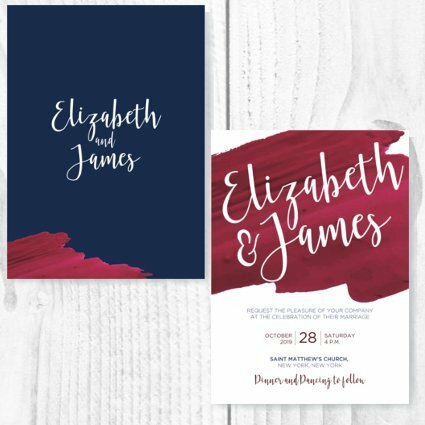 Have the Burgundy Navy Theme Invite printed as a single sided invite with the party information only, OR have them printed on both sides each with the information on 1 side, and the title on the other side. Print designs for each side are as shown in the sample photo. - Includes 2 free drafts before printing proceeds. - Depending on quantity, please allow further preparation time.